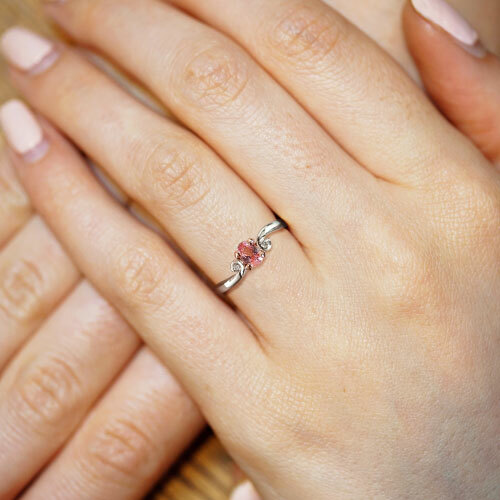 This beautiful 9 carat white gold engagement ring has a handmade 9 carat rose gold four claw setting which holds a stunning ~6mm x 4.2mm oval cut 0.68ct pink sapphire. The 9 carat white gold band delicately tapers into two rotational curls either side of the central stone which hold two 2mm G-H VS1-2 round brilliant cut diamonds (0.06ct). 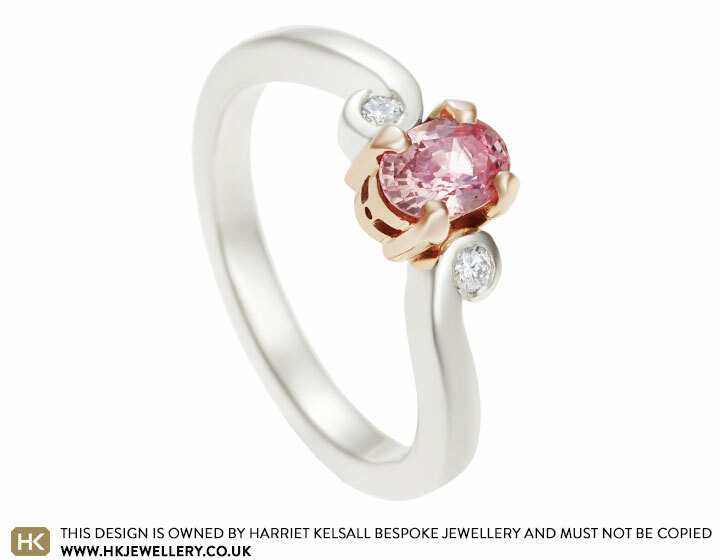 The warmth of the rose gold complements the pink sapphire and the highly polished finish accentuates the white diamond in the creamy white gold.